Sen.-elect Tim Kaine announced additional members of his Senate staff on Monday, including two Capitol Hill veterans to lead his Washington-based communications team. Amy Dudley will serve as Communications Director, Lily Adams as Press Secretary, Marc Cheatham as Director of Constituent Services and Casework, and Kate McCarroll as Director of Scheduling. Amy Dudley, Communications Director – Amy Dudley returns to Capitol Hill after serving as Press Secretary to Vice President Joe Biden on the 2012 campaign trail and as his Deputy Press Secretary in the White House. Prior to that she served as Press Secretary to U.S. Senator Ted Kaufman where she supported his efforts as a leading voice on financial reform, as well as the war in Afghanistan as a key member of the Foreign Relations and Armed Services Committees. She also supported Senator Kaufman’s role in two Supreme Court confirmation hearings as a member of the Judiciary Committee. She has also worked in the public affairs office of the National Democratic Institute for International Affairs and as a staff writer for National Journal’s The Hotline. Amy is a graduate of Colgate University. Lily Adams, Press Secretary – Lily Adams recently completed her second campaign cycle in Virginia, serving as Press Secretary for Kaine’s campaign for U.S. Senate. She previously worked on Capitol Hill for U.S. Senator Richard Blumenthal, first as his Traveling Press Aide, then as his Washington, D.C.-based Press Secretary where she supported his efforts on the Armed Services, Judiciary and HELP Committees. She has also worked on the communications staff of Ohio Governor Ted Strickland’s re-election campaign. Lily is a graduate of Brandeis University. Marc Cheatham, Director of Constituent Services and Casework – Marc Cheatham most recently served as the Scheduling Director for Kaine’s transition team and his campaign for U.S. Senate. Cheatham is a long-time member of Kaine’s staff, serving as his executive aide at the Democratic National Committee and as Director of Constituent Services and Senior Assistant to the Governor for Policy in Kaine’s gubernatorial administration. 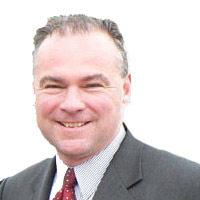 Cheatham first began working for Kaine during his term as lieutenant governor after serving as a U.S. Marine Corps sergeant. Kate McCarroll, Director of Scheduling – Kate is a veteran of Virginia politics and most recently served as the campaign manager for Jeff Bourne’s successful campaign for Richmond School Board in Richmond, Virginia. Prior to returning to political work, she served as the Director of Scheduling for President John DeGioia at Georgetown University from 2006-2012. Kate began her career in Virginia politics in 2001 on Mark Warner’s gubernatorial campaign. She joined Governor Warner’s administration as his Deputy Scheduler and later served as the Governor’s Scheduler. Kate is a graduate of Birmingham Southern College in Birmingham, Ala.